Are you getting enough rest? Chances are the answer is no, according to the Sleep Disorder Statics 50-70 million US adults have a sleep disorder. I stopped by Good Morning San Diego to share my must have tips for Sleep Awareness Week, March 11-17 and how you can start getting more rest with simple lifestyle tweaks. Research has shown that regular insomnia massage therapy not only reduces pain and anxiety but also increases relaxation, which can help restore your sleep pattern. Services like Zeel allow you to get a massage in the comfort of your home or office at an affordable price. Massages are no longer a luxury, it's considered a staple for a balanced well-being. I like the idea of including self-massage right in the comfort of your bed, Rumble Rollers comes in a variety of sizes that allow you to get a deep tissue massage right before you go to bed. Adding cruelty free cremes like Bon Vital will help you to achieve a professional rub down and reap the benefits of their natural ingredients like Manuka Oil. Studies have shown that specific essential oils used in aromatherapy can help relieve stress, relax the body, and promote better sleep. I can discuss the top essential oils that can help relieve stress and promote sleep Oilogic is perfect either include in your massage experience to dab on right before bed on your pulse points. The best part, it's safe to use for the entire family (children 6 months and older). Opt for their sleep focused oils to soak up the lavender benefits. So many times you wake up feeling you have gotten enough rest, when you might just be use to functioning on little rest. The SleepScore Max by ResMed offers a simple solution to tracking sleep! The highly advanced device is a non-contact sleep sensor. It sits right on your nightstand and will capture your sleepdata. By simply downloading the SleepScore App to your phone the information is captured by the Max and displayed through your phone's app. Incorporating beauty into your night-time routine will allow you to relax and unwind, resulting in a restful nights sleep. Knours makes a wipe that you can use right in the comfort of your bed (no rinsing needed). This innovative brand addresses the causal link between a woman's cycle & her skin. They are made with the safest, non-toxic ingredients and you can use their unique web/app technology to show you how to best utilize it all. Just before you doze off add Rapid Lash to give your lashes and eyebrows a boost! The Enhancing Serum is specifically designed to condition, moisturize and fortify to offer an overall fuller-looking, lush look. The formula will work while you sleep and in as little as four weeks, lashes will appear more beautiful, healthier and youthful. To make sure all the beauty treatment you have put in doesn't get ruined add Skin Laundry pillow cases to your bedding. The silver ion technology in the cases help to fight harmful bacteria while you sleep! Celebs like Gwyneth Paltrow are loving the idea of Clean Sleeping. The calm and pleasurable brainwaves of meditation directly cancel out negative insomnia brainwaves. Meditation can effectively offer a natural solution for anyone who wants a more natural approach to achieving a good night’s rest. The LATHER Mindful Moments Kit is an excellent inclusion especially if you are new to mediation. The kit comes with access to the Stop, Breathe & Think app providing you with access to 3 months of premium membership to their award-winning app, offering over 50 meditation and mindful activities to help you find peace of mind anywhere. Scentered is a beautiful website and community that offers peace and calming products and lifestyle options that will aid in getting more rest. Some of the top picks I shared was the Sleep Well Candle Sleep Well Therapy Balm and the Mindful Aromatherapy Minis Tin. Both options are great for traveling or dabbing on throughout the day, I am wearing the focused balm as we speak! The Aura Cacia Ultrasonic Essential Oil Diffuser disperses a fine, cool mist of essential oils and water. The natural aroma fills the room offering a calming atmosphere. I especially love the Aura Cacia’s Pillow Potion essential oil blend combines with relaxing yarrow and chamomile flower to set you adrift in a tranquil sea of deep relaxation with the pillow as your headrest and the sheets as your sail. Add 5 drops to your diffuser at night before bed. Nest Bedding Keeping everything holistic is usually my goal. Nest is factory-direct, made in the USA, organic, certified and affordable. Keeping everything cozy will help you drift off to sleep a lot easier. The Floating Pillow The Floating Comfort Pillow is an exclusive waterbased technology that provides responsive support by adapting to the shape of your head and neck as you move during sleep. No matter which way you lay, your head and neck remain in proper alignment, creating a totally different kind of sleeping experience. The average person tends to lose fluid while they sleep so staying properly hydrated is key to a proper night's rest. Opting for calming teas or iced lavender tea is a great way to unwind before you turn in for the night. Aqua Carpatica Selecting the right water to hydrate throughout the day and before bed is key. Aqua Carpatica is the first nitrate free water sold in the US. 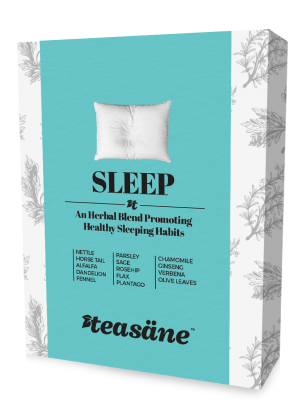 Teasane All natural herbal tea blend is specifically create for sleep. All ingredients are directly derived from nature. The 28 Day Calm kit, really helps to get you on the right track if you need a little bit more help to unwind and relax at the end of the day.